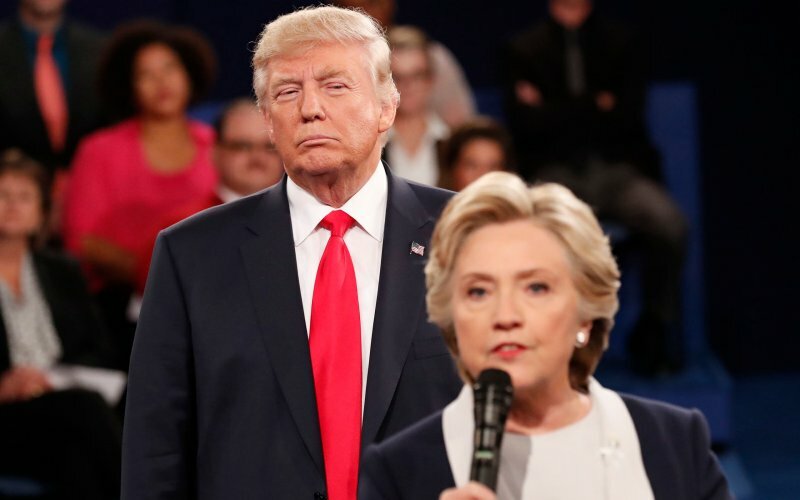 Last night in the United States, the second presidential debate between Hillary Clinton & Donald Trump held at the Washington University in St. Louis, Missouri, and ABC News’ Martha Raddatz and CNN’s Anderson Cooper served as co-moderators. Hillary Clinton and Donald Trump didn’t shake hands at the beginning and they butted heads a number of times, about the leaked tapes in which Trump makes a number of disgusting comments about women, foreign policy and the fact that Trump didn’t pay taxes for a number of years. Becker asked what the two candidates admired about each other, and it drew some laughs from the crowd. “I consider her statement about my children to be a very nice compliment. I don’t know if it was meant to be a compliment, but I’m very proud of my children, and they’ve done a wonderful job and they’ve been wonderful, wonderful kids, so I consider that a compliment.